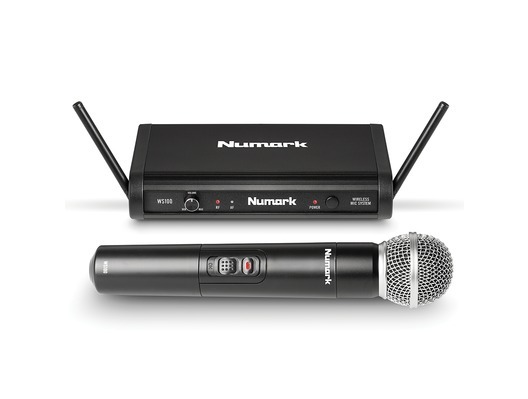 The Numark WS-100 is a digital handheld wireless microphone system that has a 200 foot range giving you total freedom from long and inconvenient cables. 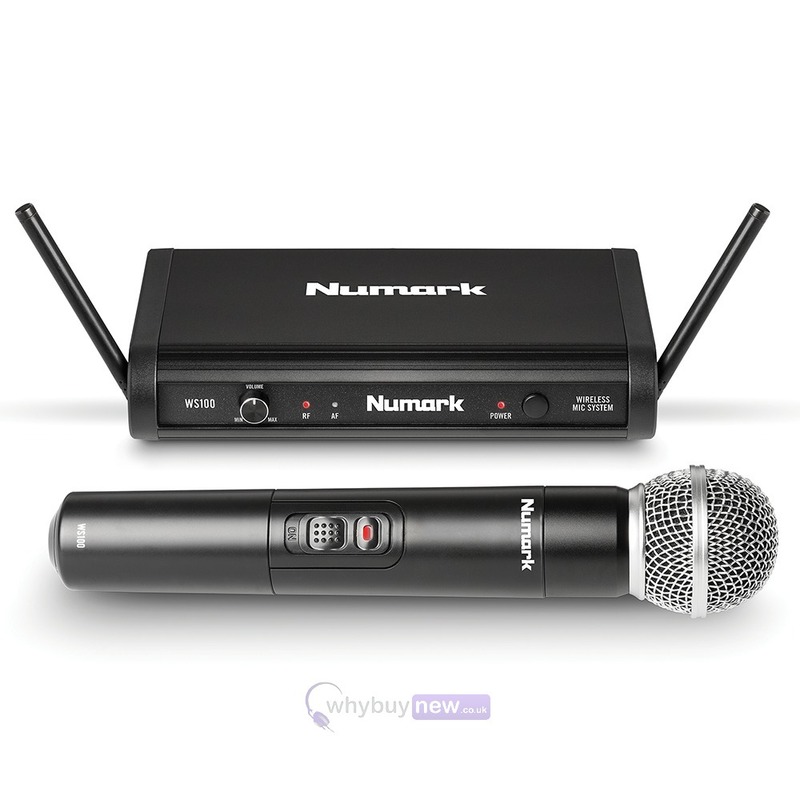 This system includes the receiver and a handheld microphone which is perfect for presentations or fun activities such as karaoke! Recognising that performers want the freedom of movement that only wireless devices can provide, Numark's WS-100 microphone delivers top-quality audio performance combined with the convenience of total independence from cumbersome, restrictive cables. 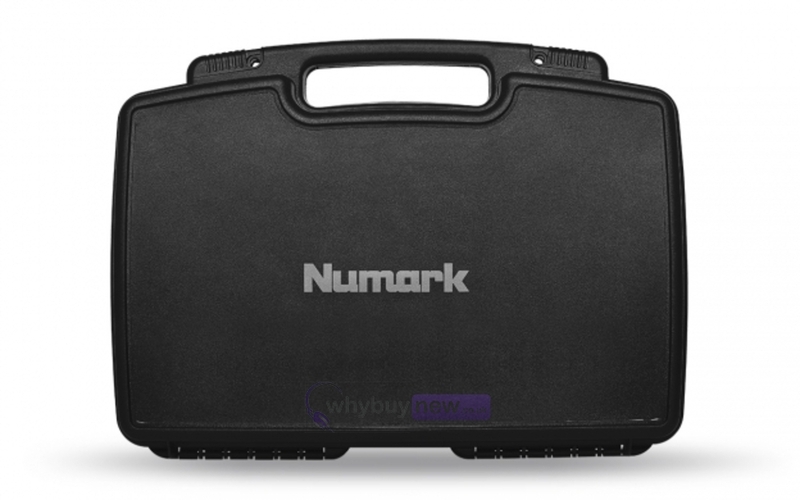 Numark knows that merely being "wireless" is not enough. That's why Numark's engineers made sure the WS-100 performed to the level their customers demand: its dual-antenna diversity system ensures interference-free, consistent, reliable operation, without worry of unexpected dropouts. Independent digital ID eliminates signal crosstalk, while its superb signal-to-noise ratio of 96dB and wide-range frequency response of 50-18kHz attest to the system's unquestionably excellent sound quality. This is a wireless microphone system designed for critical, heavy-duty use under difficult conditions. 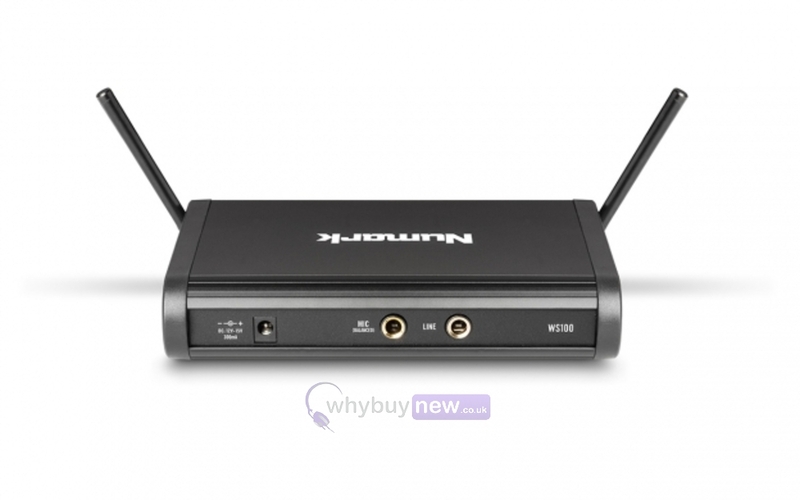 Here we have Numark WS-100 in brand new condition and in B-Stock (RED VERSION - 864.5 mHz).